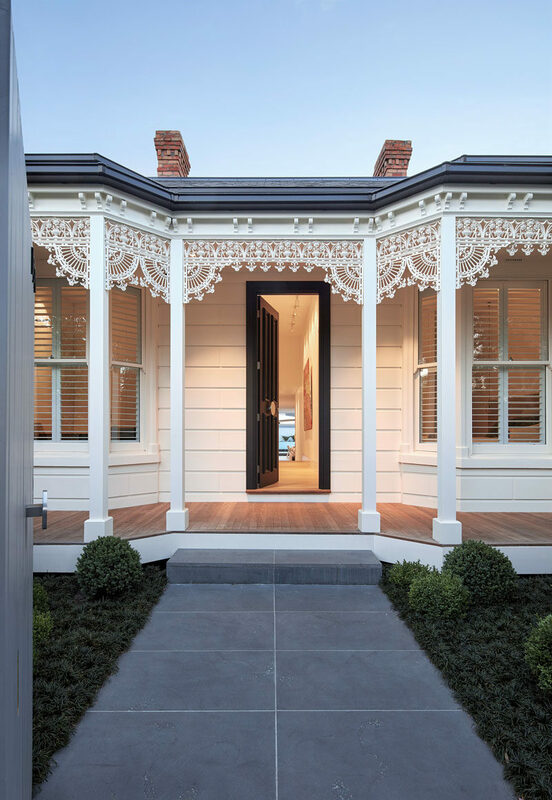 Australian architecture firm Architecton, have designed a new contemporary extension to a heritage home in Melbourne. From the front of the home, there’s no signs of the dramatic extension that is located at the rear of the home. 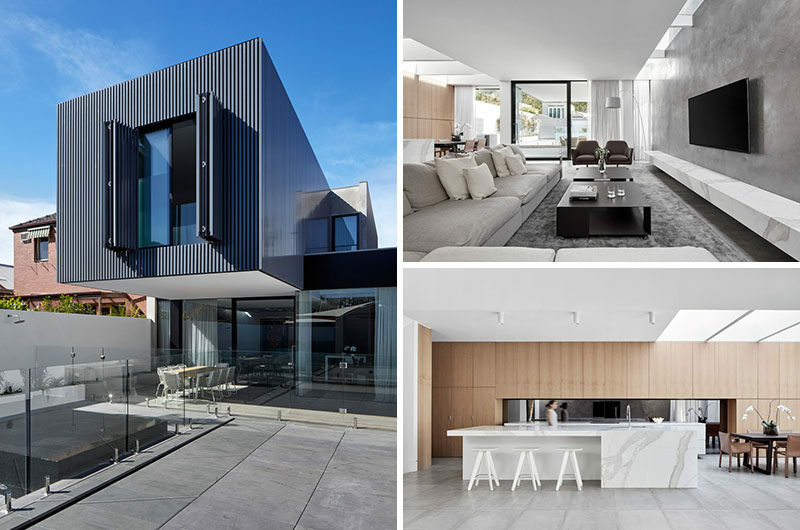 At the rear of the home, the extension is very visible, with a large cantilevered box extending out over the backyard patio. 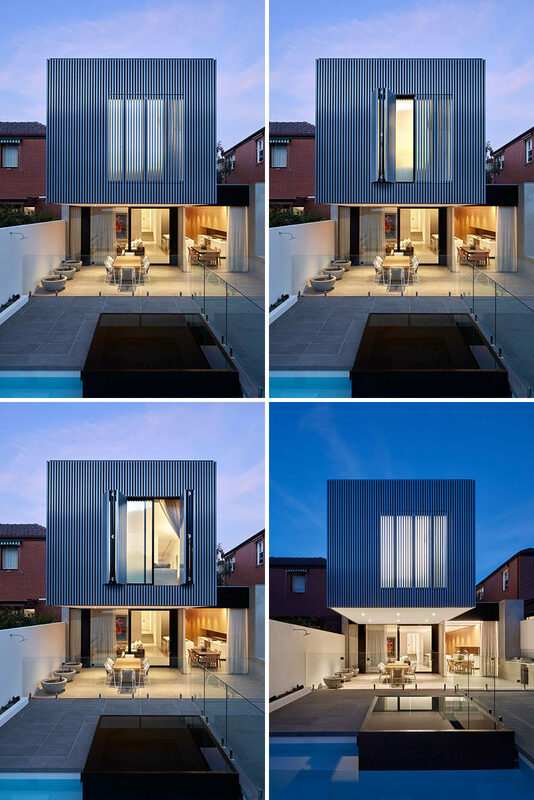 Large folding shutters cover the windows in the extension adding privacy and security. Here’s a closer look at the shutters in action. 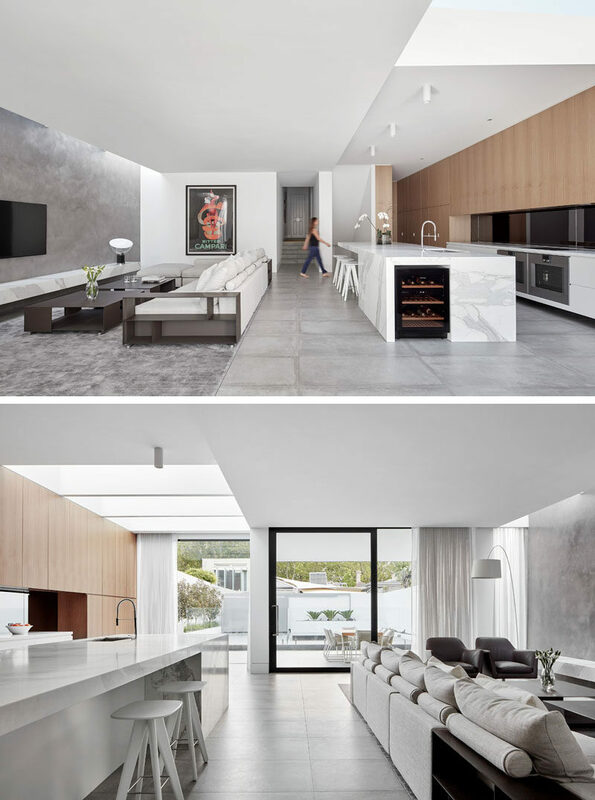 In the new extension, a large open floor plan has been created with the space split evenly between the living room and the kitchen. 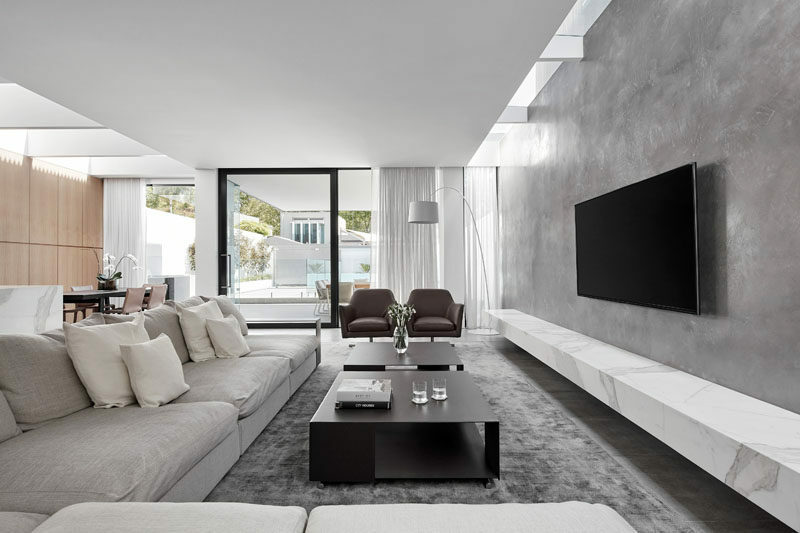 In the living area, a material palette of stone, concrete and metal have been used to create a cool contemporary look and feel. The kitchen is much brighter with the use of light wood and lighter colored stone. Just off the kitchen is the dining area, that receives plenty of natural light through the large skylight. 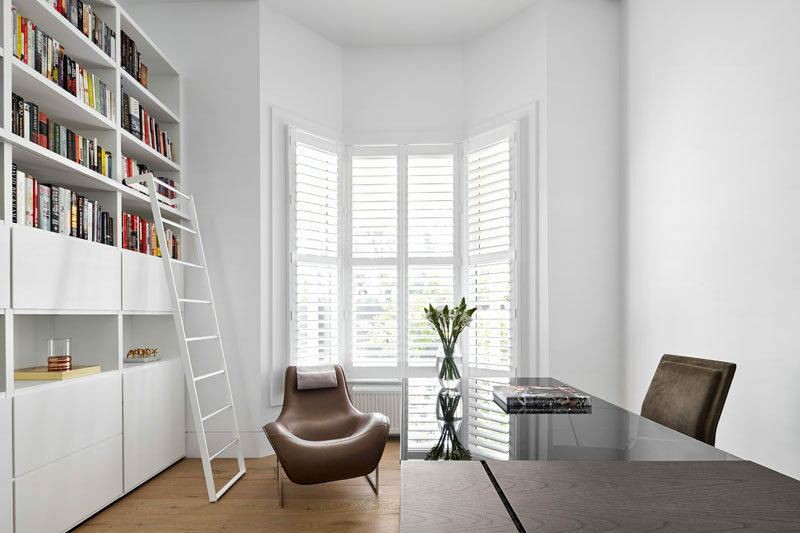 At the front of the home, a room was turned into a bright white contemporary office with a wall full of shelving. 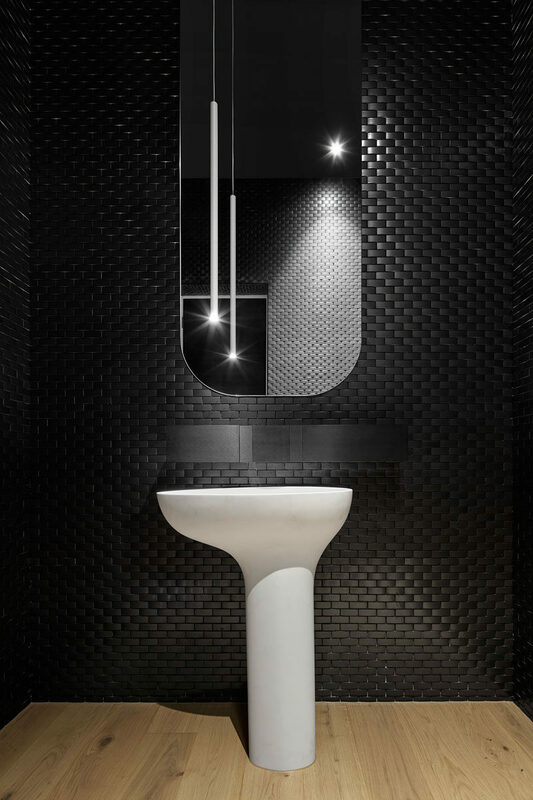 In contrast to the bright white office, here’s a look at the home’s bold black bathroom, where black tiles create a dramatic look.